Fellowship of Christian Athletes and the Student Leadership Team. She has been on the honor roll since 5th grade and was the 2017 Miss Cabot Junior High school and 2017 and 2018 Lonoke County Fair Junior Talen. Abi volunteers with Fellowship Student Ministries. 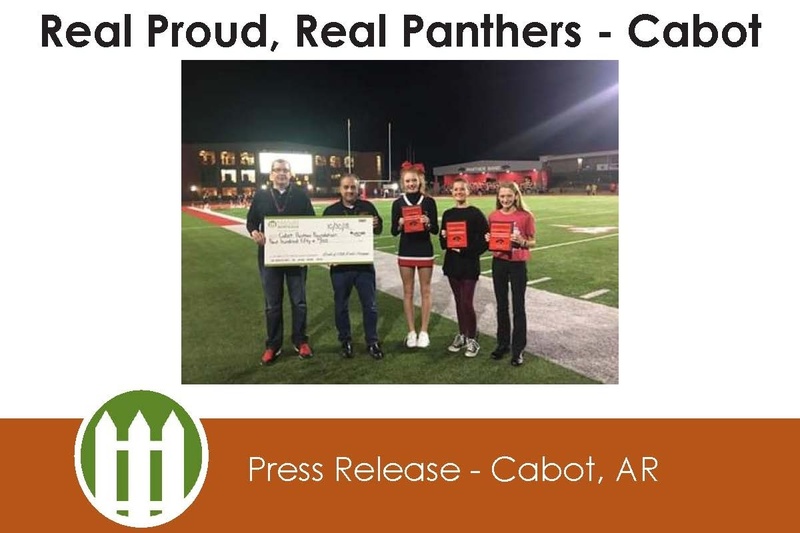 After high school, Abi plans to attend the University of Central Arkansas. Abi is the daughter of proud parents Dewayne and Teri Roper. fitness plan for 30 of her students and monitors all of them to ensure the program is a success. After high school, she plans to attend the University of Arkansas on an Reserve Officer Training Corp scholarship and major in pre-med. Abigail is the daughter of proud parents Timothy and Erin Logan. the cross country and track teams and a member of National Junior Honor Society. She made all region band as an 8th grader and received 1st and 2nd year achievement pins in band and a 1st division rating at solo and ensemble festivals. After high school, Ashley plans on attending the University of Arkansas in Fayetteville and major in architecture. She also plans to run cross country and track and play in the band. Ashley is the daughter of Amy and David Sample. which is part of the $2,700 Bank of Little Rock Mortgage will donate to the foundation during this school year.